Pop star Rita Ora got kicked out of her West London apartment after a series of wild parties. Rita Ora is on the hunt for a new home after being kicked out of her flat. The 'R.I.P' singer , who was renting a luxury west London apartment, has been asked to find a new place to live after a number of complaints about noisy late night parties. A source told The Sun newspaper: ''Rita is on the move after some complaints about noise in her last place. ''She has already been looking at houses and wants to buy a proper home for the first time. ''She thinks a new home would be the perfect way to celebrate such a successful year.'' The 23-year-old star's career is going from strength to strength and she was named Musician of the Year at the Harper's Bazaar Women of the Year Awards last month. The singer, who is dating DJ Calvin Harris, was threatened with eviction recently after ignoring warnings from her landlord. 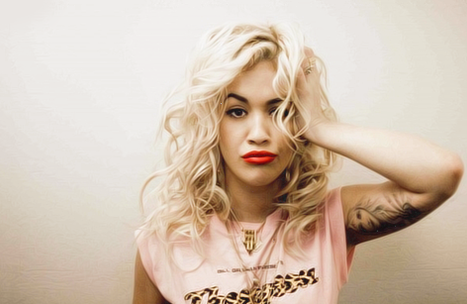 A source said: ''Rita has been told about the noise before but she ignored it and now the landlord says she has to go. ''This isn't the first time she's been threatened with eviction but it's much more serious now. ''Rita lives in a nice building with a lot of older neighbours who aren't happy with her''. Rita has had a busy couple of weeks partying. After hosting a 70s themed bash for her 23rd birthday, she also helped model Kelly Brook celebrate turning 34.
we are still not buying your records rita.